This is an introduction to the Open Access journal article – “The ‘Scottish approach’ to policy and policymaking: what issues are territorial and what are universal?” by Paul Cairney, Siabhainn Russell, and Emily St Denny, in Policy and Politics. The ‘Scottish approach’ refers to the Scottish Government’s reputation for pursuing a consultative and cooperative style when it makes and implements policy in devolved areas (including health, education, local government and justice). It works with voluntary groups, unions, professional bodies, the private sector and local and health authorities to gather information and foster support for its policy aims. This approach extends to policy delivery, with the Scottish Government willing to produce a broad national strategy and series of priorities – underpinned by the ‘National Performance Framework’ – and trust bodies such as local authorities to meet its aims. In turn, local authorities work with a wide range of bodies in the public, voluntary and private sector – in ‘Community Planning Partnerships’ – to produce shared aims relevant to their local areas. ‘Single Outcome Agreements’ mark a symbolic shift away from ‘topdown’ implementation, in which local authorities and other bodies are punished if they do not meet short-term targets, towards the production of longer-term shared aims and cooperation. Yet, however distinctive a government’s approach may be, its actions are constrained by factors faced by all governments. For example, when we elect governments, or choose a completely new kind of government, we expect ministers to solve problems for us. Yet, they can only pay attention to a tiny proportion of the things for which they are responsible. No individual, or small group of people at the heart of government, has the ability to understand or control the complex government of which it is in charge. In Scotland, one of those key issues is about how to organise, deliver and reform public services. It demonstrates two main problems that you find in any study of government and policymaking. First, there is an inescapable trade-off between a desire to harmonise national policies and to encourage local discretion. Policymakers and policy participants understand this problem in different ways; some bemoan the ‘fragmentation’ of public services and the potential for a ‘postcode lottery’, while others identify more positive notions of flexible government, the potential for innovation, and the value of ‘community-led’ policies or individualised, ‘co-produced’, services. Second, policymakers have a limited amount of control over this trade-off. They do not simply choose a level of fragmentation. Instead, they face the same problems as any government: the ability to pay attention to only a small proportion of issues, or to a small proportion of public service activity; the tendency for problems to be processed in government ‘silos’ (by one part of government, not communicating well with others); the potential for policymakers, in different departments or levels of government, to understand and address the policy problem in very different ways; and, ‘complexity’, which suggests that policy outcomes often ‘emerge’ from local action in the absence of central control. These problems can only be addressed in a limited way by government strategies based on: the use of accountability and performance measures; the encouragement of learning and cooperation between public bodies; and, the development of a professional culture in which many people are committed to the same policy approach. In our new article, my colleagues Emily St Denny, Siabhainn Russell and I look at how the Scottish Government addresses these ‘universal’ problems. 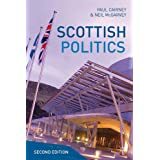 We describe the ‘Scottish approach’ and wonder if it could help address problems associated with ‘silos’, ‘ambiguity’ and local discretion, if policy is ‘co-produced’ and ‘owned’ by national and local bodies. Or, if the ‘Scottish Approach’ implies a decision to encourage discretion, the production of a meaningful degree of local policymaking, and perhaps even the acceptance that some policies may ‘emerge’ in the absence of central direction and traditional accountability measures, it may create problems of its own. To show how complicated government is, we select problems and strategies that seem more likely to exacerbate these ‘universal’ problems more than others. 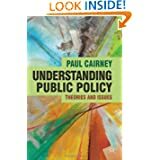 We outline two policy areas, on prevention and transition, which cut across many government departments, involve many levels of government (local, Scottish, UK, and perhaps EU) and types of government (including education, social work, health and police authorities), and seem particularly difficult to define and manage. In both cases, the problem is not one of partisan disagreement. In fact, there is a widespread commitment to both issues, and to achieve a ‘decisive shift to prevention’ in particular. 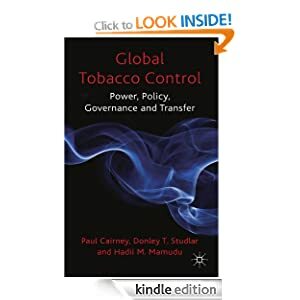 Rather, the problem is often one of ambiguity – for example, people are not quite sure what prevention means in practice, when applied to different kinds of policy problem – or ‘fragmentation’, when a range of public bodies have to work together to produce more specific aims and objectives. These ‘universal’ points are important when we consider Scottish policymaking in the context of constitutional change: a shift of policymaking responsibility from the UK to Scotland may reduce one aspect of complex government – such as the link between the social security system (currently reserved to the UK) and public services – but many would still remain. In cases such as prevention, further devolution could have an impact on budget and policy priorities. It would not, however, solve the problem of how to define and address a cross-cutting and ambiguous problem.